Blast through sand dunes on a RZR with a friend by your side. 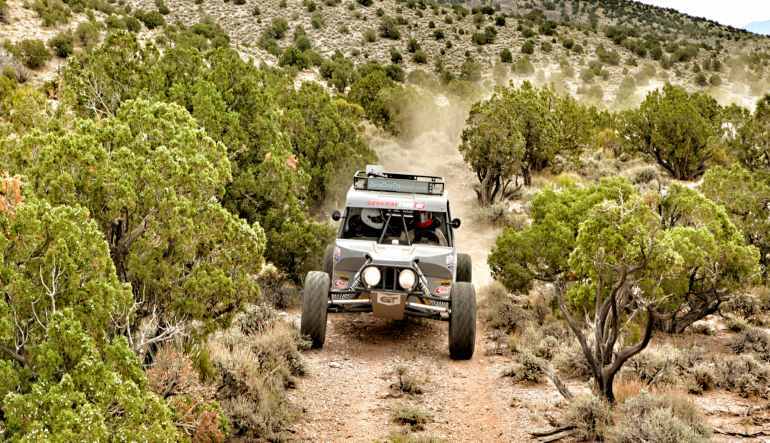 You can each take turns driving this rugged terrain! Your location: the Mojave Desert, a dramatic stretch that varies from mountainous vistas to endless horizons. Your vehicle: a brand new 2015 Polaris RZR XP 1000. Your itinerary: five hours of sandy exploration over one of the nation’s most striking landscapes. 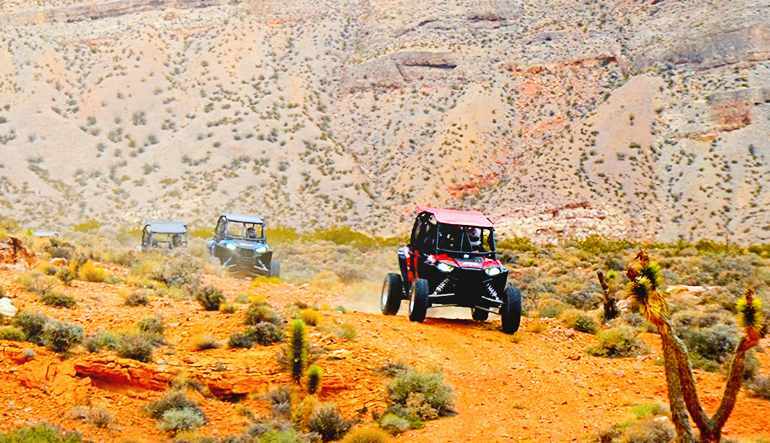 Sin City’s wildest adventure is in fact just outside the Vegas Strip. Forget the slots; you want to be blasting through sand dunes on a 999CC UTV that impresses with its 110hp, all-wheel drive and electronic power steering. Travel from your hotel room to the desert and back again with complementary shuttle service from select Strip hotels. Both guests can take turns behind the wheel! Be awed on your half-day guided UTV tour, behind the wheel of a Polaris RZR. Explore and learn all about the Mojave Desert while making various pit stops to snack, hydrate and capture some shots of the landscape. Dig in to some sizzling good eats at the Pioneer Saloon, an institution that’s stood for over 100 years (turn-of-the-century bullet holes still adorn its wooden frame!). No roads and all the time in the world—the sprawling desertscape is your playground! Each driver who pays the $25 Driver Release Fee will not be responsible for most damage to the car resulting from an incident/crash at the track.